Community and Primary Healthcare Services are focus areas to both Food and Health Bureau and Hospital Authority in the recent years. These two areas rely on more than changing our concerns to patients and the practice of delivering the healthcare services. They call for a fundamental shift in our culture so that all healthcare workers are aware that good patient care is not only about saving lives, but also helping patients to live healthily, safely and comfortably in the community. The provision of integrated community care should be merged into the management of every patient with chronic diseases in spanning from hospital stay to community care. It is the dream of HKCCPHN to foster this cultural change while our Fellow Members will continue with momentum generated and provide the best possible quality of life services to patients in the community. 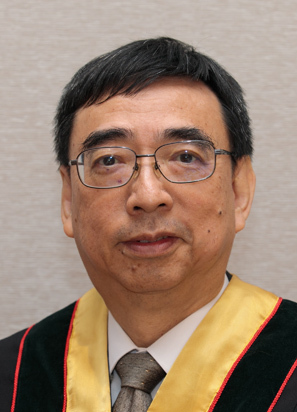 As the President of a College with four nursing specialities, namely Public Health Nursing, Community Nursing, Occupational Health Nursing and Family Medicine & Primary Healthcare Nursing, I have the grave responsibilities to anchor the College development and estate strategy of associating with HKAN. I strongly believe that through collaboration and effective communication, HKCCPHN will continue to contribute and provide upholding community services to the public of Hong Kong. Last but not least, I would like to give tribute to Ms LAM Yin Ming, our Founding President for her valuable input in laying the concrete foundation for HKCCPHN.